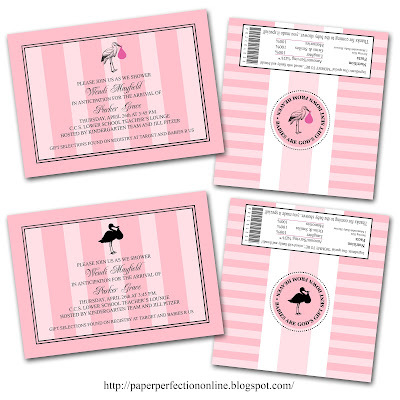 I recently had a client contact me that I have worked with before to design party printables and gifts and this time she wanted a custom invitation and candy bar wrapper in pink with a stork for a baby shower. I love working with clients over and over again! Here are the two design options that I sent my client and luckily she really liked the designs. 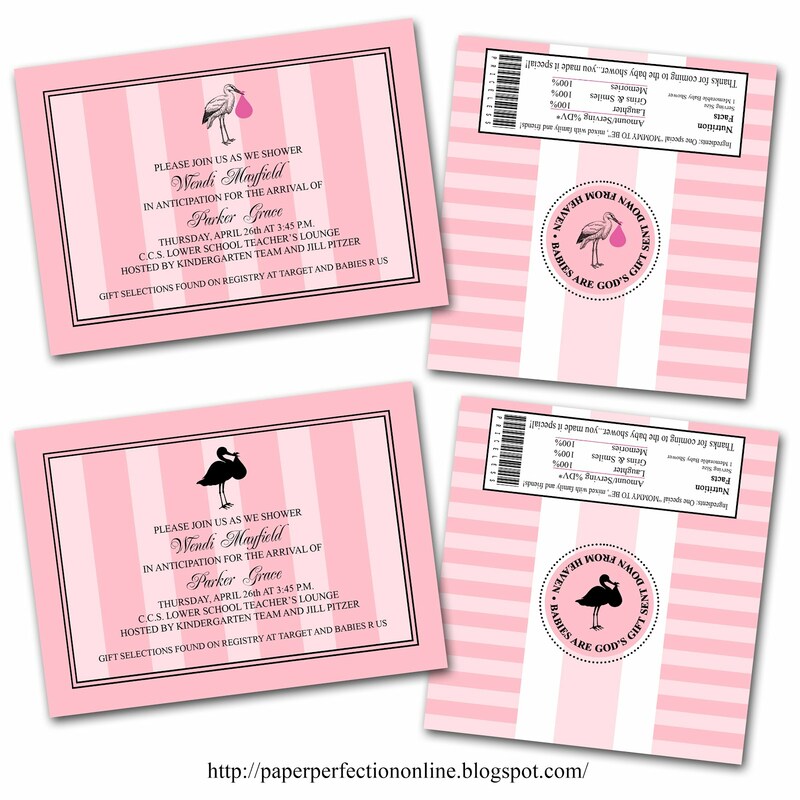 If you are looking for a custom party printable or like one of my designs on the blog contact Paper Perfection at jtanddolly@yahoo.com for pricing and details.